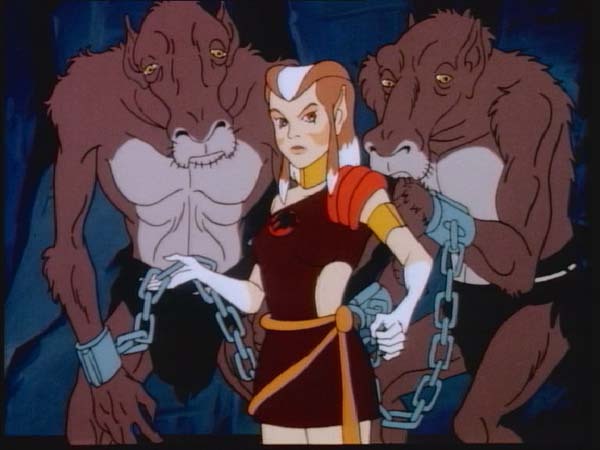 After discovering that the horrific LUNA-TAKS: LUNA, AMOK, ALURO, RED-EYE, CHILLA and TUG-MUG are free, LION-O, CHEETARA and SNARF return to the LAIR to inform the other ThunderCats. 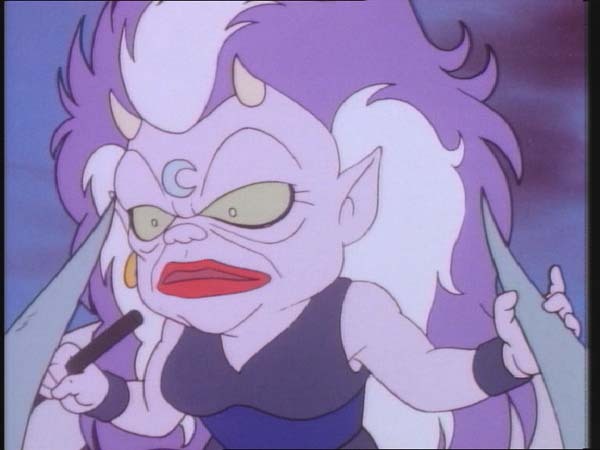 MA-MUTT transforms into MUMM-RA and descends upon the LUNA-TAKS preaching that they must work with him to destroy the ThunderCats. LION-O calls a council meeting at the LAIR to plan a way into DARKSIDE in pursuit of the LUNA-TAKS. Absent from the meeting, PANTHRO, PUMYRA and BEN-GALI are off to the Thundrillium mines to replenish their low supplies. They discover the Thundrillium missing from the mine site and are attacked by a pack of BRUTEMEN. 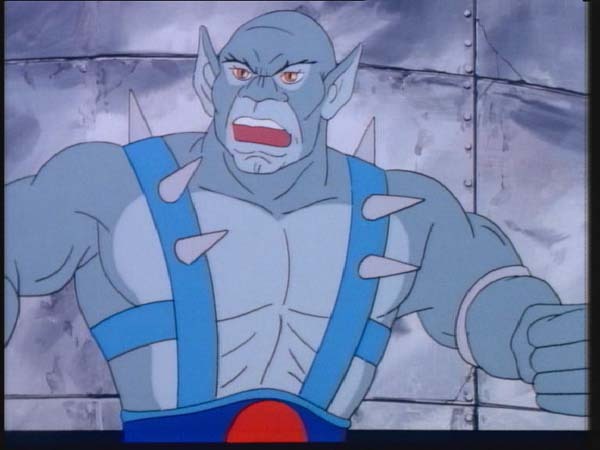 PANTHRO succeeds in calming them down, discovering them chained and enslaved in the mine. BEN-GALI frees the BRUTEMEN with his pick-hammer and the ThunderCats return to the LAIR where we learn from several BOLKINS and WOLLOS that there have been abductions in their villages. At the LUNA-TAKS’ mobile headquarters, SKYTOMB, we find these kidnapped villagers enslaved. LION-O, in the HoverCat, and the ThunderKittens, on their spaceboards, scout the area near Fire Rock Mountain and find the LUNA-TALS and MUTANTS with the village slaves. 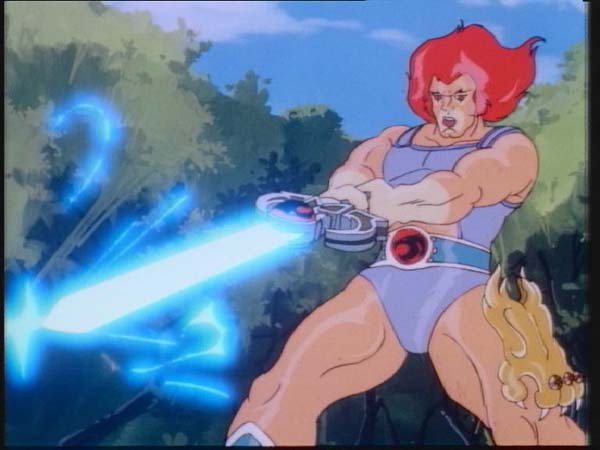 LION-O battles TUG-MUG and then summons the other ThunderCats with the Sword. But before the ThunderCat help arrives, TUV-MUG steals the Sword and breaks it in two. PANTHRO, TYGRA, and LYNX-O arrive in the new ThunderStrike, and, outnumbered, TUG-MUG and the MUTANTS retreat. At the SKYTOMB the MUTANTS and LUNA-TAKS bicker over who is more powerful, during which a WOLLO and BOLKIN slave succeed in escaping. 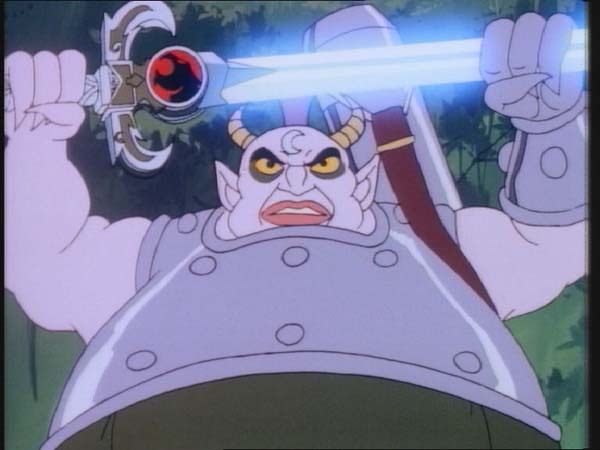 As BEN-GALI forges the broken Sword of Omens together, PANTHRO, CHEETARA and PUMYRA arrive with the escaped WOLLO and BOLKIN, who tell the ThunderCats of the MUTANTS/LUNA-TAKS activities and of a way into DARKSIDE through the FOREST OF MISTS. Aboard the ThunderStrike, with LYNX-O as navigator, the ThunderCats arrive at DARKSIDE. The WOLLO and BOLKIN direct the ThunderCats towards SKYTOMB’s location only to discover charred ground in its place. With SKYTOMB mobile, the LUNA-TAKS are free to terrorize all of Third Earth. 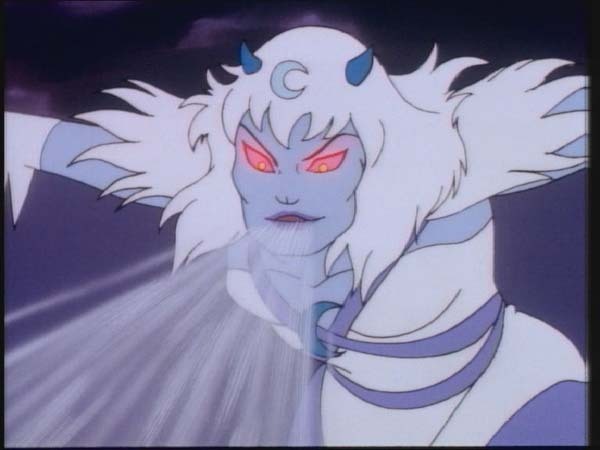 Mumm-Ra, the Mutants, and the Luna-Taks form an alliance based on evil to counter the good deeds of the ThunderCats. 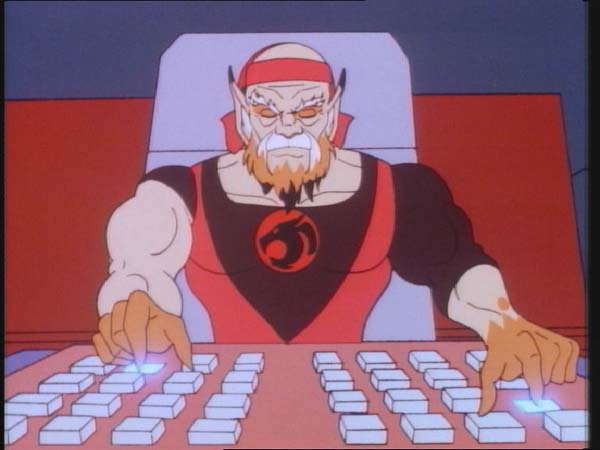 They seek to create anarchy by destroying the social community of the ThunderCats and Third Earth residents. In response, the ThunderCats and their friends band together. 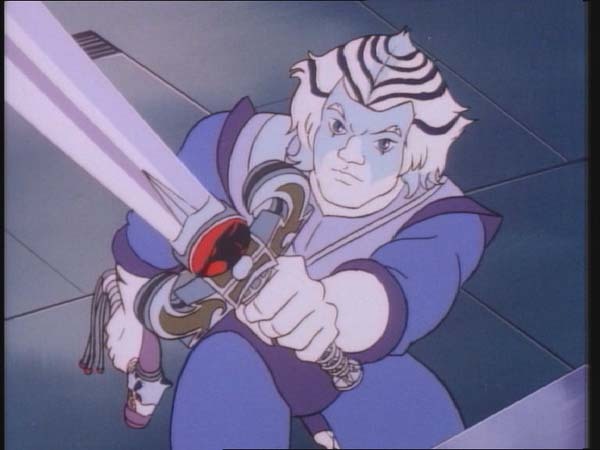 Many of their individual talents and attributes are evident in this episode: Panthro’s technical expertise, Ben-Gali’s skill as a blacksmith, Lynx-O’s heightened use of senses other than sight, the ThunderKittens’ cunning, Lion-O’s steadfast leadership, and the Wollos’ and Bolkins’ knowledge of legends and folk tales. Yet in acting alone each is vulnerable to the formidable powers of the evil allies. The added strength of the ThunderCats and friends giving them a significant advantage over their enemies is their sense of teamwork and willingness to work together. Acting together makes them stronger than when acting individually. As Cheetara reminds Snarf, the individual ThunderCats cannot sit back and only rely on the others when faced with danger. Each must take action. In our lives, then we or friends encounter danger or misfortune, we bear an individual responsibility to act. But the acting need not be done alone. As members of a community, if each takes action we act together in a group. We bring our individual talents together with other’. In doing so, we form a strong communal force which is stronger and more effective than any of its individual members. First impressions are lasting impressions. This old adage holds true especially when it comes to fictional characters. A strong introduction of the main character in any narrative is crucial if he or she is to strike a chord with the audience. Who can forget the epic entrance of Darth Vader in “Star Wars”? So imposing was the introduction of the antagonist that since then even a mention of his name makes the listener gasp in awe (and simultaneously hum John Williams’ music!). 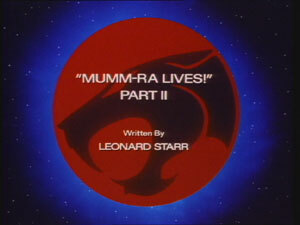 “ThunderCats” boasts some impressive introductions as well, most notable being that of Mumm-Ra. 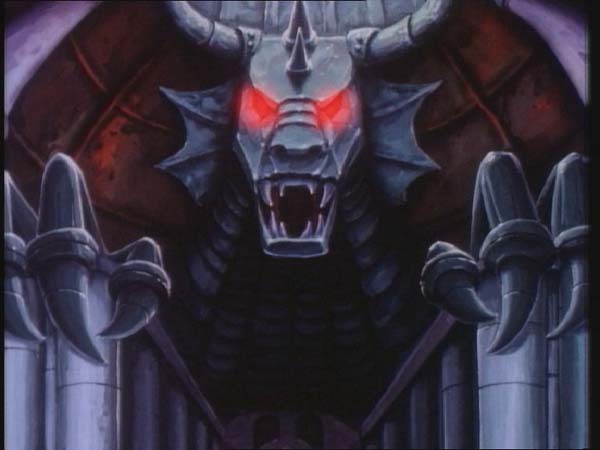 The slow emergence of the devil priest from his shadowy sarcophagus is the scene that cemented Mumm-Ra’s image in the audience’s mind as the embodiment of evil. Since then the character has become synonymous with fear. In “Mumm-Ra Lives! Part II”, the Lunataks make their grand entrance. Shown in the previous episode as a mound of molten lava, here we are introduced to each member of the Lunataks. The sinister six, Luna, Amok, Chilla, Alluro, Red-Eye, and Tug-Mug, each possess unique abilities but share the same malevolence towards everybody, including each other. Evil to the very core, the Lunataks are ferociously fearless, which is why Mumm-Ra talks them into destroying the ThunderCats. Inside the Cats’ Lair, the ThunderCats contemplate how to face this new threat while Bengali, Pumyra, and Panthro visit the Thundrillium mines to replenish their fuel supplies. This is the first time that we see these mines, which are essentially giant metal silos, dispensing Thundrillium. In previous episodes, the ThunderCats are always shown foraging for this precious fuel source and some episodes like “Trouble with Time” are driven by this search. 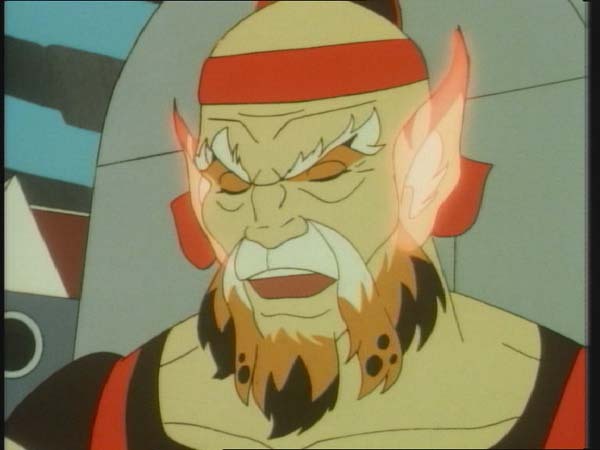 When the Thundrillium mines turn out to be depleted, the ThunderCats trio investigate further and discover enslaved Brutemen being forced to steal the Thundrillium and transport it to Dark Side. Just like in “The Slaves of Castle Plun-Darr”, the Mutants have once again enslaved the gentle Brutemen, this time to build the Lunataks’ mobile fortress Skytomb. 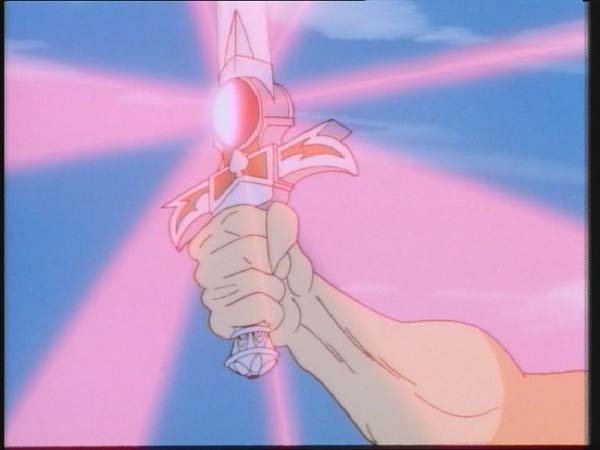 The Lunataks’ power is first exhibited when Lion-O encounters Tug-Mug and the bouncing villain snaps the Sword of Omens like a toothpick. While this should have been the highlight of the episode, it turns out to be a damp squib, thanks to poor writing. When the sword was broken in “All That Glitters”, it was accompanied by a ferocious emission of sparks from the severed blade. The tragedy is so great that Lion-O even suffers a nervous breakdown and risks his own life to save the sword. 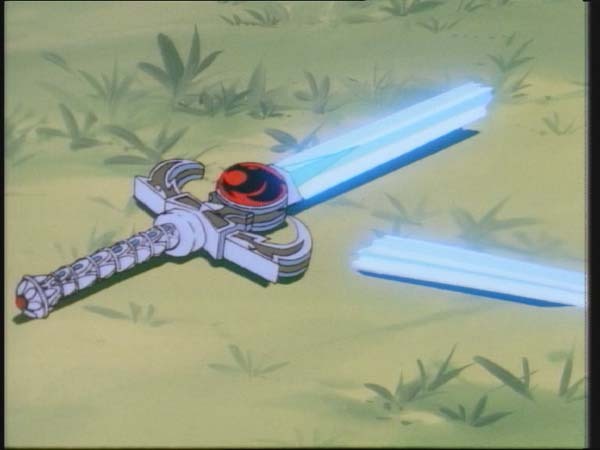 Comparatively in this episode, the destruction of the blade has no visual brilliance and Lion-O is completely unfazed by it. So great is his apathy that he fails to even mention this huge calamity to the other ThunderCats when they arrive at the scene. The problem is very quickly rectified in the very next scene thanks to Bengali re-forging the sword using his hammer and thus proving his worth. Lynx-O also shows off a valuable skill derived from learning to compensate for his blindness as he navigates the ThunderCats through the Forest of Mists and a canyon of razor sharp rocks unscathed, a feat previously considered impossible. So far Pumyra is the only one of the new ThunderCats to not have played any significant part in the story arc. Like the previous installment, this episode also serves an establishing purpose, offering us more insight into the new characters as well as the latest vehicles and locations. Other than that, there isn’t much development in the overall plot and despite the title, Mumm-Ra hardly features at all in the episode. It is rather curious that the Plun-Darrian Lunataks would use Thundrillium to power their fortress, a fuel used exclusively by ThunderCats and previously found only on Thundera. This is the first episode in which we catch a glimpse of a female Bolkin. Not only does this chapter introduce the Lunataks’ mobile fortress Skytomb, it also marks the debut of the newest ThunderCats vehicle the ThunderStrike as well as Lynx-O’s Braille Board.